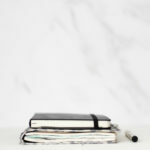 Coming up with new blog post ideas can be tough, especially if you don’t have a content bank to refer back to when your idea well is running dry. Personally, my favorite part of the blog writing process is coming up with new ideas and writing up the initial draft. (I’m not so fond of the editing and publishing process, which is why I hire that part out.) Because I love coming up with ideas, I’ve got my content brainstorming and idea-generating process down pat. 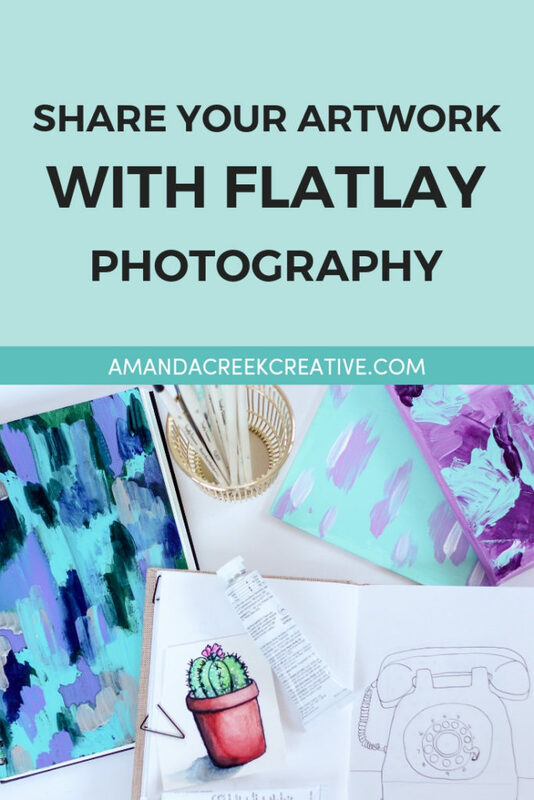 Today, I’m going to share with you 11 different ways that you can come up with content for your blog, with an emphasis on how each of these ideas can lead you to create content that your audience wants. Because let’s face it, you can come up with ideas all day long, but they really need to be attractive to your target audience. The first step when generating ideas for my blog is to evaluate what my overall goals are. I typically like to do this yearly and then quarterly. Doing it in this way helps me to stay on track for the year. You’ll need to start with your goals before jumping in with the other methods of brainstorming content because you need to know what you hope to create for offerings during the calendar year. To start without your end goals in mind means that you will be creating content that doesn’t serve the higher purpose of your blog and business. So starting here is vital. Everything should then lead back to the free and paid offerings that you’ve created or plan to create for your business. Now that you know that your content should reflect your goals as a business owner, you need to sit down and write out a content marketing plan. 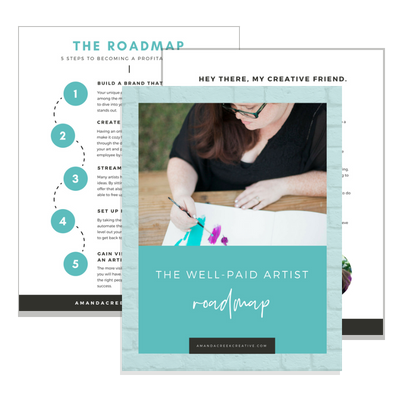 To make this plan, you just need to know what you’re going to promote throughout the year, whether free or paid. This is important because it means that every piece of content you create will relate back to the offers (free/paid) that you’ve released or plan on releasing to your audience this year. If what you write on your blog isn’t related to what you hope to release, it’s doing a disservice to your business. It can still potentially attract and help your people, but it might not be the best fit for your products or services. I would suggest saving those ideas until later when you do have something that relates. If you want to release content that doesn’t tie back to your offerings, perhaps only writing that content once a month would be best. Keyword research is a great way to create content that your audience wants. If you’re new to owning a business or have a brand new blog (or even a brand new YouTube channel), then you can use keyword research to help you come up with ideas. I like to use the Chrome Extension called Keywords Everywhere to help me come up with my thoughts. It takes just a few minutes to install, but then you can use the extension to research different keyword phrases that you think your audience might be searching for in Google. For instance, if you are a watercolor artist and you want to teach your audience some of the fundamentals of painting with watercolors, you can search different terms in Google and see the search results using this tool. So you might search for things like “which brushes are best for watercolor painting” or “how much water to use when watercolor painting.” By seeing how many search results there are, you’ll be able to determine if it’s a topic that resonates with different audiences online. I have a training inside of my membership that covers how to use Keywords everywhere for Google searches. You can join the membership here. For a tech lover like me, the idea of checking my analytics gets me super pumped up. You might have a little bit of unease, though, when it comes to looking at your analytics. If you have a WordPress website and you’ve never taken the time to set up Google Analytics, then I recommend using the Monster Insights plugin. It’s super easy, and it comes highly recommended. The data that you uncover by looking at Google Analytics will tell you what’s working and what’s not. When you search, set the dates that you’re looking at to the past 90-days. Which posts seem to be the most viewed? Which posts are the least viewed? By looking at what your audience seems to like and dislike from you, you can start doing more of what works. Remember that you can look at data on different platforms too. So don’t disregard the analytics on platforms like Instagram, YouTube, Facebook, and Pinterest. Personally, I love to go into my Pinterest Analytics because I can very quickly see which of my posts are being shared the most and which of my posts are being clicked on. It only takes a few minutes to get some compelling and useful information that can help me to create similar content in the future. An extra note: Treat your business as one big science experiment and test out different post ideas over a couple of months, especially when you’re first starting out and have less to lose by experimenting. By experimenting and then looking at the data, you’ll have actually concrete data that you can use to make more content (actual content that you know people are loving). Surveys are a great way to get feedback on what kind of content your audience might want to see from you. You can send out a survey through email, you can include a survey at the end of a blog post, or you can poll people via social media. You can use free survey tools like Google Forms or Typeform to ask your questions. This is a great way to get questions from your audience and a great way to also ask for testimonials if you haven’t asked for any before now. Many bloggers send out a survey at the end of each calendar year. I’ve used this method in the past, and it has been beneficial. I had at least 5 calls with past clients and customers before launching my membership program. The feedback I received really allowed me to get into the mind of my favorite customers so that I can attract similar people back to the same offer in the future. If you’re worried that no one will take you up on hopping on Zoom or Skype, I recommend rewarding those who do with a free gift card or a short question and answer session for free. The gift cards can be simple and don’t need to be expensive. A $5 Starbucks card can be enough incentive for one of your favorites to hop on Zoom* (affiliate link) with you. I love to ask questions of my audience on social media. 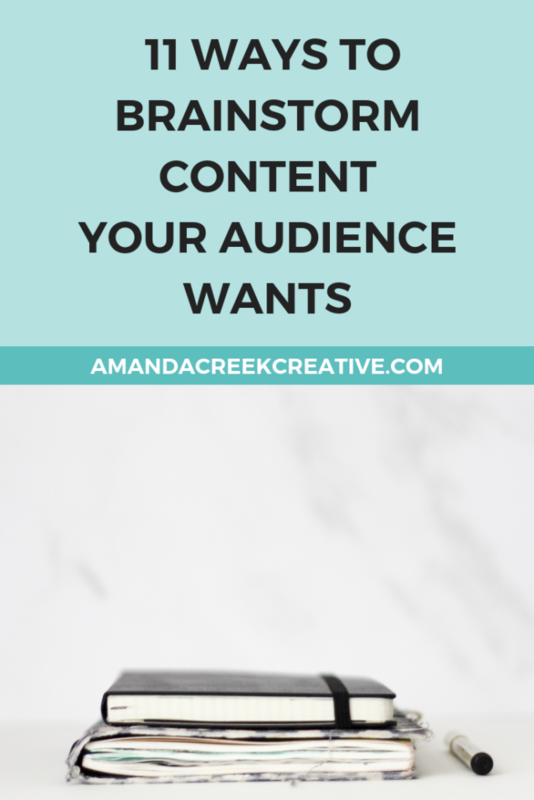 I don’t always ask about things directly related to the content I want to create or how I can help my audience, but I ask various questions that can help me learn more about who my ideal audience is. You can ask questions about their hobbies, questions about they do with their downtime, questions about their struggles, or what they’d do if they got stranded on a deserted island. The sky is the limit. But the more you ask and get to know your audience, the more you can use that info to write stuff that they’d find fun and exciting. It might lead to an entire post, or it might lead to a quick relatable story that draws them into your post when they first pull it up on their computer or phone. After doing something for a lengthy period, you can often forget what it was like to be a beginner. But by slowing yourself down as you do something for yourself (that you know you can probably do in your sleep), you can start thinking about things from a beginner’s perspective. 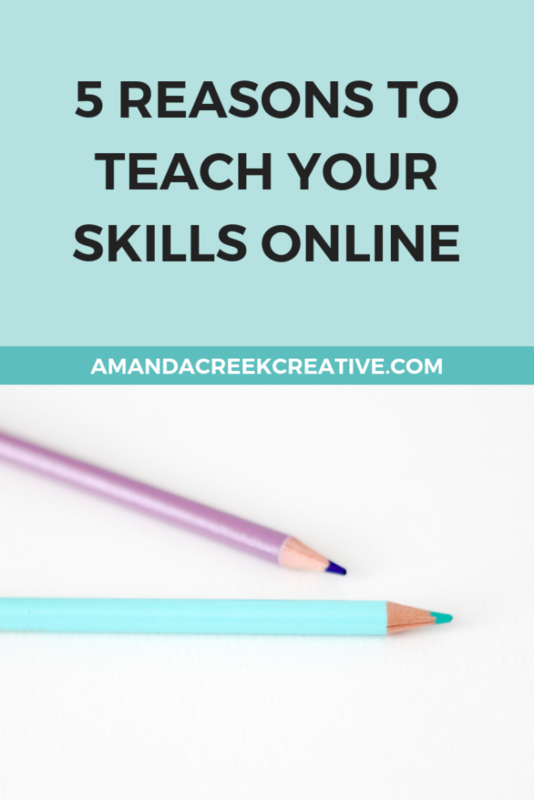 If you want to teach a class online about doodling, think back to when you first started the practice. What did you need to know? That’s where your post ideas need to come from. If you’re a product-based business, start thinking about the hesitations your audience might have before they purchase your product. If you sell high-end paintings, what are they wondering about the process? Maybe they’ve never bought a painting online, and it scares them to enter in their credit card information. Are they wondering how it will look to get their painting shipped to them? Can you provide some info for them within a blog post that you can use to relieve any hesitations they might have? If you get questions from your audience on topics like these often, think about how much easier it would be to answer the question once in a post and then be able to send that to everyone who asks in the future. I love looking at my existing content and thinking of ideas that would pair well with what I’ve already created. You can create a short blog series that will really help your audience to trust you, which is an essential factor in getting them to purchase from you. Look at your existing content and write down 3-5 post ideas based on the content you’ve already created. 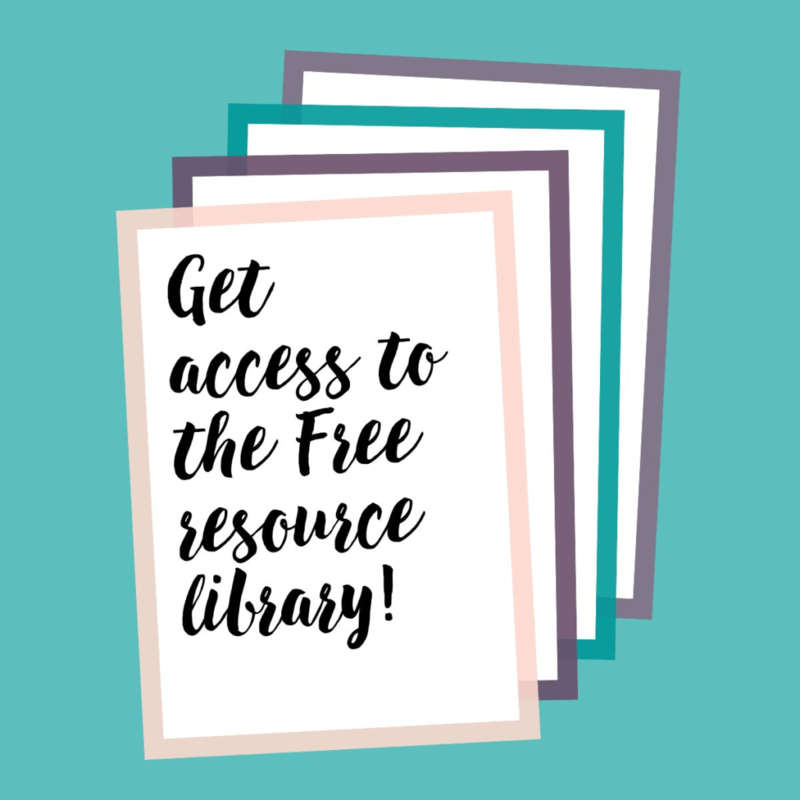 This will help you to build up a relevant library that will have your customers coming back for more. When you feel like you’re running low on ideas, it can help just to get out all the thoughts you might have in your head. Sometimes it only takes typing it all out or writing it all out for you to get one golden nugget. Other times, you’ll realize that you had a ton of ideas, but they were all just swimming around in there without anything to anchor them down. I love to write thoughts in my Full Focus Planner* (affiliate link) that has an extra page for notes next to each day’s schedule. I also like to write my blog posts in Scrivener (a writer’s tool that allows you to create a database of ideas and documents) and just spend time freewriting with a particular topic or prompt to see where it leads. No matter how you go about this, you’ll definitely see that the more you write, the more ideas will come to you. Lastly, I really love to use mind maps to come up with a bunch of different ideas based on a sole topic. I read through Meera Kothand’s One Hour Content Plan* (affiliate link) a few years ago when it first came out and loved her concept of making categories or buckets for your content. I have ten main “content buckets” that I want to write in this year (although I often gravitate more to just three or four of those buckets), and I can write down the main focus like “passive income” and then write other ideas branching off that main topic to come up with subcategories and blog post ideas. You can do this activity once or twice a month, and it will also help you to get all of your content ducks in a row. I really recommend going through Meera’s book if you have time. The book was a quick read and took me a whole afternoon to do the things she recommends inside. Writing content for your audience can be difficult, especially if you’ve never taken the time to build up a content bank of ideas. If you find yourself lacking ideas and struggling to put a blog post out, I recommend taking one or two afternoons to brainstorm ideas. Once you’ve built up enough ideas, then you can choose the idea that you feel confident enough to write today and get your next blog post out quickly. 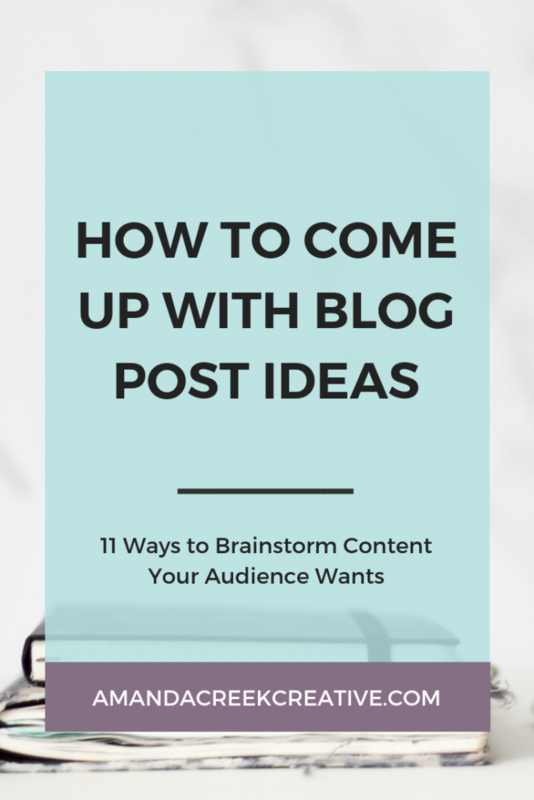 Do you use any of these brainstorming methods to create posts for your blog? Is there anything that you’d add to the list? Let me know in the comment section below!